GEAR, WORTHY OF YOUR GOALS. 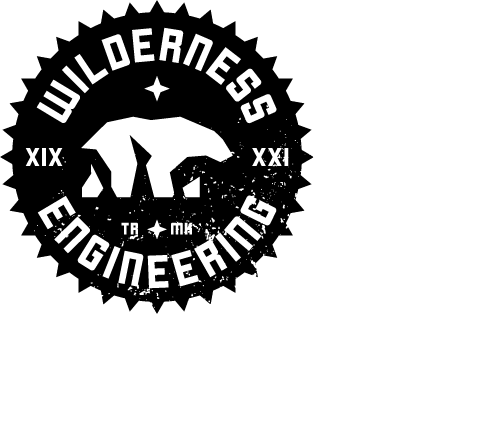 For over 30 years Wilderness Engineering has been inspiring confidence in explorers at every level, by building gear you can depend on. No Excuses. We have been there, we are there, and we will get you there. Love and respect for mother nature and all of her wonders start at a young age. Do it in an environment that is safe and warm. This isn't a knock-off you can throw wheels on in the summer & skis in the winter. We are the original. Winter engineering at its finest, for your finest. Made of the same materials & grit that go into every product we sell. Simple... less is more. Our tent inspiration came from this belief. No need to cary extra gear. Everything you need to make a tent, you are already pulling right behind you. Shed the extra weight and become "enlightened". The Base Camp Sled System was the sled system selected by our team for use during an unsupported ski trek from Broughton Island to Pangnirtung on Baffin Island in Canada's eastern Arctic. The trek covered a distance of 217 kilometers over sea ice, frozen rivers and lakes and the extremely rugged and world-renowned Pangnirtung Pass. Our Wilderness Engineering sleds were loaded with 14 days supplies and weighed approximately 125 pounds. The duffel bag was roomy, easily accessible and constructed out of bombproof materials. The shape and construction of the duffel bag and sled also allow for the easy exterior attachment of articles such as thermoses, camera bags and more bulky items such as sleeping mats. The sleds towed easily, gliding smoothly over snow, ice and even gravel and rock. In one area we actually sat on the sleds and rode them down the frozen Owl River for an entire day! The harness and pole system proved to be perfectly suited for the backcountry skiing that was our mode of travel. Light weight, roomy, rugged and completely dependable, all in all an excellent system for cross country winter travel in all types of terrain. We recently returned from an expedition to the northern tip of Ellesmere Island (Quttinirpaaq National Park) in the Canadian Arctic. We used two of your Base Camp sleds to haul much of our gear as we could not carry the total load of our equipment in our packs. 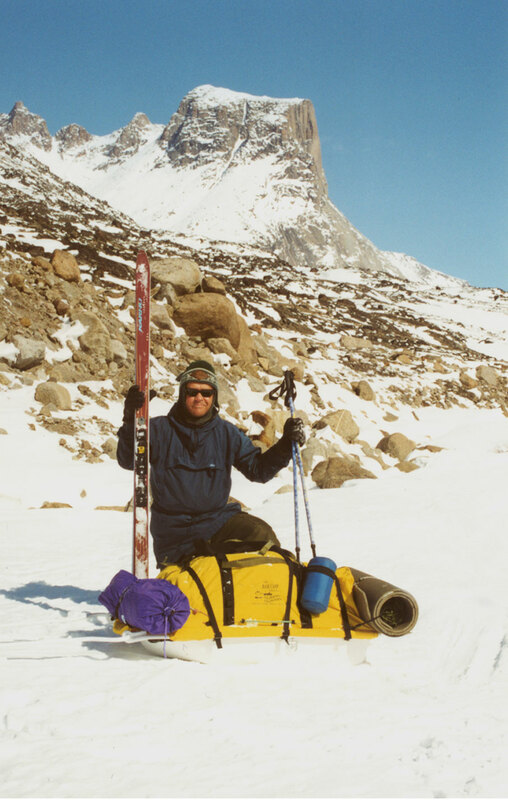 Our goal was to climb Barbeau Peak, the highest mountain in Nunavut. In order to reach the base of the mountain, we had to trek 50 miles. The difficult part was the first 18 miles, which was over rock, gravel and tundra, and through numerous rivers. These sleds were clearly designed to take such abuse and held up nicely over this terrain enroute to the glacier and snowfields. We also dragged them through many glacial streams, smashing into the vertical banks as we went. We also launched them through the air across channels so they were landing on hard ice on the opposite side. After successfully reaching the summit of the mountain we now had to return over the same 50 miles of snow, ice and tundra. The sleds did not let us down once, and we returned triumphantly 10 days and 100 miles later. This expedition would not have been successful in this time period without the Base Camp sleds. We will use them on future trips, and I highly recommend them to anyone who is planning a trip that requires high quality equipment. Serving our troops and allied forces for over 30 years.